The amount of empathetic, engaging titles that surface each year to commemorate ANZAC Day never fails to impress me. Touching, sympathetic stories like those below permit young children to open their hearts and minds to the true essence of courage and sacrifice, allowing them to connect with a history that for the sake of humanity, we should never forget. 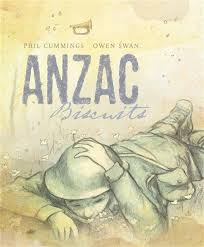 There is a huge number of praise-worthy picture books to share with your youngsters this ANZAC Day. Here are a few newer titles that are also excellent for classroom inclusive discussion. 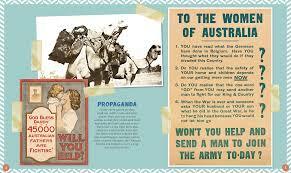 Thousands of care packages were sent to our Aussie Diggers during the Great War of 1914. Dozens upon dozens of hand-knitted socks made up a part of these packs not only providing warmth and comfort for ‘war-weary feet inside heavy boots’ but reminding our troops that their loved ones at home were thinking of them. Tammy learns how to knit socks to send overseas. 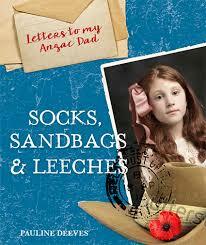 She tucks special messages into the toe of each sock for the soldiers to find. One message, written especially for her Daddy serving at the warfront, returns with a reply from Lance Corporal A McDougall who was the recipient of her heartfelt gift. His reply connects her with her father, fills her with pride and instills a hope that someday soon he will return safely to her. This story highlights the female wartime effort in the most glorious and tender way. 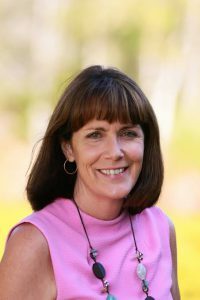 Baillie’s narrative is affectionate and informative; addressing younger audiences in a way that is both direct and appealing given that many of them might struggle to understand the concept of caring for others in such an express, person-to-person way. Joy’s collage inspired illustrations are a mosaic of love and charm, layered with texture and colour so persuasive and rich, you’ll want to reach out and stroke each golden strand of Tammy’s hair. It’s this depth of sensory allure that draws you back to this story again and again, making it the perfect book to honour the centenary of the end of WWI. A must share. 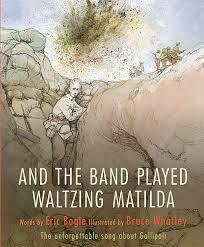 A couple of months ago I revisited an iconic song by Eric Bogle, finding new breath in Bruce Whatley’s picture book, And the Band Played Waltzing Matilda. Bogle found the words and Whatley the images that profoundly capture all the raw emotion, loss and resilience that epitomises the Great War of 100 years ago. This collection of titles does the same. All commemorate actual events of WWI. Many embrace the incredible ANZAC legacy. Each is a significant work of art and testimony to real-life heroes who gave their youth, their souls, and tragically, their lives in the quest to protect sovereignty and country. ‘Not everyone wins medals, some heroes never do’, but this small collection deserves your attention as absolutely as those we’ll be commemorating during the 100th year Anniversary of World War One (and the Centenary of the Landing of Gallipoli this year). Because they should be remembered. 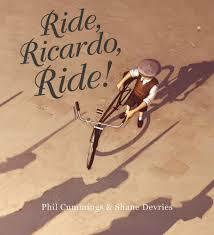 As the war first erupted in Europe, so we begin with the picture book, Ride, Ricardo, Ride! by Phil Cummings and Shane Devries. A young Italian boy’s love for riding his bike under the clear quiet skies of his village is shattered when the shadows of war appear. Devries’ splendid illustrations saturate the pages of Cummings haunting tale of human endurance. Evoking eloquence and beauty out of destruction and despair. Mid-primary reader series, Australia’s Great War landed last year with Sophie Masson’s, 1914 and is followed this year by Sally Murphy’s, 1915. Each honour events specific to that time in history in spirited, easy to read novels that unite an absorbing mosaic of factual occurrences with engaging fictional characters typical of that era. Thoroughly engrossing with further releases due each year until 1918, this series provides an awesome framework for primary students to become intimately acquainted with the machinations and characters of the First World War. 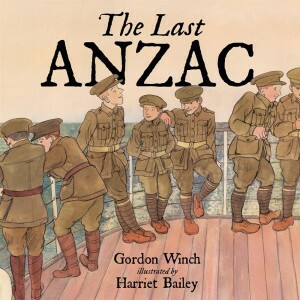 Our oldest living ANZAC, Alec Campbell may no longer be able to march but the true-life story of his meeting with a young boy a year before his death is perceptively depicted in Gordon Winch’s picture book, The Last ANZAC. Alec ‘the kid’ Campbell’s encounter with James, is faithfully portrayed with the help of Harriet Bailey’s expressive illustrations, alternating back and forth from the deserts of Cairo and trenches of Gallipoli to present day suburbia. 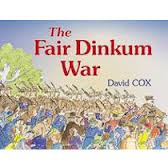 Ideal for the expanding minds of 5 – 7 year-old history scholars. Visit Romi’s full review, here. 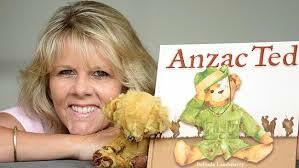 ANZAC Ted is the debut picture book of author illustrator, Belinda Landsberry and encompasses two of my great loves: teddy bears and beautiful picture books for kids. Landsberry uses gorgeous water coloured illustrations to complement a gently rhyming tale of a little boy’s beloved toy. But, Ted is a teddy bear of rather diminished appeal having survived the ANZAC campaign with the little boy’s digger grandfather. Worn, torn, and scary looking, he may score zero cute and cuddly points in the Toy Show at school but he is and was the unsung hero and much cherished mascot of the Gallipoli diggers who more than earns a place in this little boy’s heart. ANZAC Ted gets my vote too. 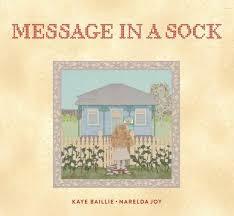 Perfect for reading aloud with someone you cherish or soaking up the atmospheric sepia illustrations alone. The Anzacs of course included the New Zealander’s so it is only fitting that popular Kiwi author, Peter Millet and illustrator Trish Bowles are able to share their remarkable picture book story based on another real life war hero, Freda. The ANZAC Puppy is a tender rendition of the interwoven lives of Lucy, WWI solider, Sam and Freda, a harlequin Great Dane puppy who grew into a loyal and much loved good-luck mascot of the New Zealand Rifle Brigade 5th Battalion. Sam’s tale brought tears to my eyes and will warm the cockles of your heart. 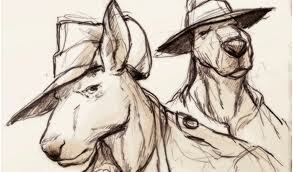 It parallels ANZAC Ted in many ways thanks to the stirring sensitivity the creators use to express these tales of nostalgia. My primary-schooler is always a bit dubious about reading ‘another wartime story’. 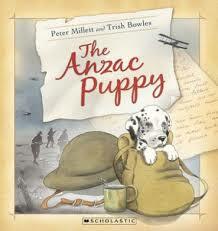 Thankfully, picture books like ANZAC Ted and The ANZAC Puppy have assured her that not all conflict ends in tears and heartache. 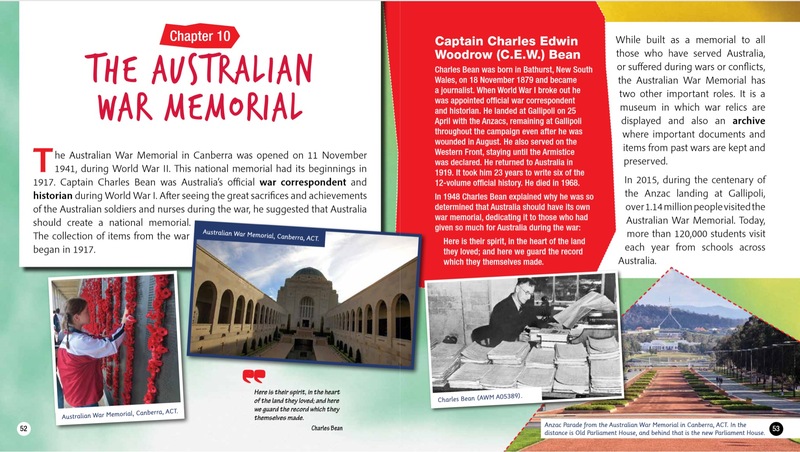 The majority of these Anzac tales will suit primary aged readers. 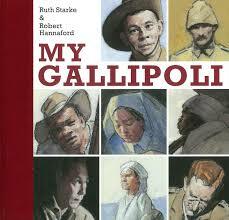 My Gallipoli by Ruth Starke and Robert Hannaford is an exceptional picture book with more sweeping appeal. This phenomenal, clothbound presentation marries fictional characters with direct accounts in an epistolary chronological description of the months immediately before the first landing at ANZAC Cove to the Allied retreat in 1915, then onto to present day commemoration ceremonies. Starke is genius at capturing the moment even if it did take place a hundred years ago. 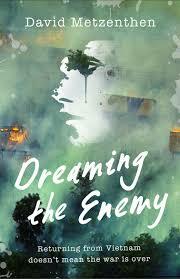 She masterfully connects the reader to all those touched by the doomed campaign to capture the Dardanelles: the diggers, their families, the Turkish countrymen, the nurses, the COs and, the war correspondents. 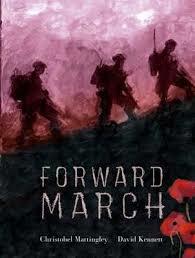 First person recollections plunge us into their places of battle and pain with powerful precision. Hannaford’s fine charcoal, watercolour, and gauche portraits anchor their thoughts with tangible identities. My Gallipoli reaffirms the futility of war but also underlines the courage, the tenacity and the hope that were crucial to the survival of thousands of men (and women) at that time.Each page, each Gallipoli recollection is a complete superb story unto itself. 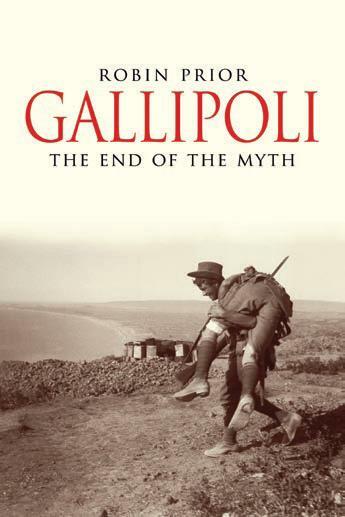 My Gallipoli is a picture book of substantial implications for students of history and art and a glorious record of our inglorious past. 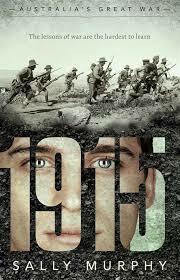 My pick for in depth and animated Centenary discussion. Anzac day has always been special for most Australian’s. We’ve grown up hearing the stories of our ANZACs. We’ve watched movies and read books about it; it makes up part of our DNA, but it wasn’t until I read a small article from 1920 about an incident that happened in my home town around this time, that I discovered there was so much more to World War one, and the legacy those men left behind. I was given an article about a returned war hero and a young local girl who had been involved in a terrible incident while at a dance one late November night in 1920 and my life was never going to be the same again. Why? I hear you ask? 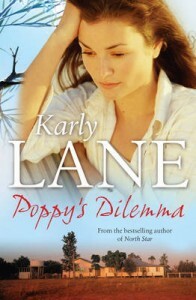 Well, for one thing, I discovered things about my town, my family and two complete strangers that would spark a passion for local history in me that has only increased since writing Poppy’s Dilemma. Secondly, developing an obsession for a man who has been dead for 94 years, well, one never quite recovers from something like that! Things happened while writing this book, strange things… and if I believed in strange things, I’d be thinking it was almost as though Alick wanted this story to be told. While researching for Poppy’s Dilemma, based on the years following the First World War, I stumbled upon a series of scanned letters on a website. It wasn’t until I dug deeper that I was astonished to discover these letters were written by the man I was basing my story on, Alexander McLean. I now have these letters, letters that are almost 100 years old, some written from trenches in France during the war, and I feel a connection to this man that spans over a century. Alick joined the army in August of 1915. He was awarded a Distinguished Conduct Medal for bravery in the field. He was well respected by his senior officers and men, even being promoted in the field by showing excellent leadership skills during battle. After a wound to the head which resulted in Alick losing an eye, he was returned home to Australia in late 1918. He returned to work with his bullock team and went on with his life, however after a dance in November, 1920 for reasons unknown, Alexander Mclean approached a young woman named Gertie Trisley on a bridge just outside the hall they’d been dancing in earlier, and shot her in the head, before turning the gun and mortally wounding himself, dying a few hours later. So how did a much loved and respected, hero end up committing such an out of characteristic crime? Parts of the inquest held after his death often referred to his head injury received during the war, and given as the only real explanation. These boys who had grown up in the community were farmers, timber getters, shop clerks, delivery boys. They played football, they sang or played instruments for weekend dances. They were normal, everyday young Australians and their families proudly waved them off from the train station but when they came home, a large part of those same boys would not return. It was while reading this article, which can be read in its entirety along with the Coroner’s report via my web page, that I felt a need to write this story, not to solve any great mysteries, but to give Alick a voice; a glimpse into what life was like for these men who went off on what they all thought would be a huge adventure only to return home broken shells of their former selves. I also wanted to explore what my town had been like during and after the war, once men like Alick returned. These men were returned home and expected to fit back into a world they’d left behind. How did anyone think a person could go from living in a muddy trench and fighting on a bloody battle field one day to walking down the main street and chatting to their neighbour’s about the weather, within the space of a few months? This year is the 100th anniversary of WW1 and to commemorate it, there’s a variety of upcoming events and projects underway that will extend into the following 4 years throughout communities all around Australia, so keep your eye out for things happening and let’s help remember our ANZAC’s. Occasionally a thing that you witness, a song that you hear or a line that your read manifests itself indelibly within you, seemingly forever. Sometimes, not always, you remember the exact time and place and occasion that these erasable impressions mark your memory for the first time. Often this phenomenon occurs when you are still young in years and free in thinking. 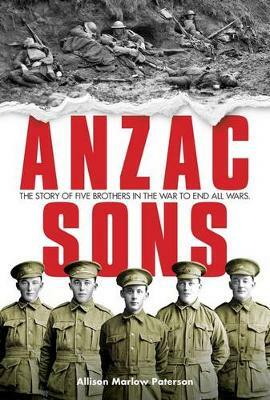 Memorable moments can be fortifying but also confronting and shocking, which is why books like these, Along the Road to Gundagai and Gallipoli, constitute essential reading for young people. As ANZAC Day approaches urging us to remember the past, it’s difficult to know what to reach for when trying to share the meaning of these particular commemorations with your children. Unless they observe or participate in ceremonies or have relatives that do so, school is often the first place youngsters encounter terms like ANZAC Cove, the Great War, and diggers. War is messy and cruel. It is horrid and scary but it is also about bravery, ingenuity, mateship, and perseverance. Along the Road to Gundagai and Gallipoli are picture books that capture the bitter essence of war in a way that is non-threatening but hauntingly real. 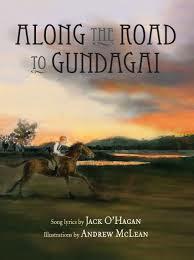 Penned by Australian musician, Jack O’Hagan in 1922, Along the Road to Gundagai has an almost anthem quality to it. It is not the first time a well-known song or verse has been purposely presented as a picture book but like others before it, the coupling of well-known lyrics with evocative images serves to anchor our appreciation and deepen our understanding of the story behind the words. It is essentially a lament by the young men of the Great Wars; of their yearning to return to their youth which was so irrevocably spoilt by war. Award winning Aussie illustrator, Andrew McLean, ironically ventured into the world of digital art to portray this poignant piece of history. The recollections of our narrating lad’s ‘old bush home and friends’ are all succinctly framed; captured moments matching the lyrical text, soft yet glowing. Conversely, scenes from the scarred battle fields imbue entire pages with dark, sombre, desolation. Particularly arresting for me was the contrast of sunny skies over the Murrumbidgee and the gas-filled atmosphere of battle where even the horses wear gasmasks; the whites of their eyes betraying their confusion and terror. All of us have a road to Gundagai we’d like to revisit. 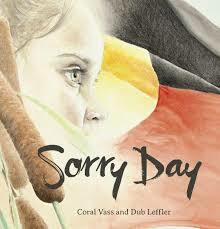 This powerful picture book rendition of an Aussie classic allows readers young and old to do just that. Picture books about the ANZACs of WWI abound. Many succeed thanks to the legendary intensity of the subject matter, the sensitive translation of emotions through illustrations and the poetic rendering of a brutal period of modern day history. Gallipoli by Kerry Greenwood and Annie White delivers all these and more. 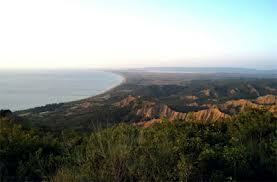 It is simply the story of Gallipoli. It is Dusty and Bluey’s story told through the eyes of Bluey’s great grandson. But before you say, not another ANZAC tale, look again; at the sepia-coloured end pages depicting wartime and post war snap shots of our two mates. Be swept along on their adventure, across vast oceans and scorching deserts and No Man’s Land. Feel the hunger, the terror and the relief shared by these two young men whose unbreakable friendship withstands time and war. Greenwood leaves no stone unturned in the retelling of this infamously failed military campaign, however 7 year olds and above could easily master and enjoy this account themselves because it reads as fluidly as fiction. There are few dates to stumble over and enough storyline to accommodate a myriad of historical revelations including; the futile charges, trench survival, Simpson and his donkey(s), and the Roses of No Man’s Land. White never belittles the enormity of Bluey and Dust’s situation. Her illustrations show mortar attacks and bleeding wounds in full colour yet are neither cheerless nor grim. Subdued sepia photographs are ‘stuck’ on every page like an old well-loved album guiding the reader from the past to present day remembrance. Stirring, significant and worth sharing, especially with school-aged children. War is certainly not joyful but it was special to sit and read these with my 8 year old and by some strange twist of intent, it was she who helped me through the more emotional bits. On the eve of ANZAC Day it seemed fitting to touch on the significance of the day. Young people are often faced with a barrage of ANZAC Day information whether they are involved in commemorative services and lessons at school or simply viewing a dawn parade on the day. Explaining the whys and how of one of our most significant periods of history need not be a glorification of the atrocities of war, but rather a celebration of the indomitable fighting spirit of our nation as a whole and a message of hope eternal. 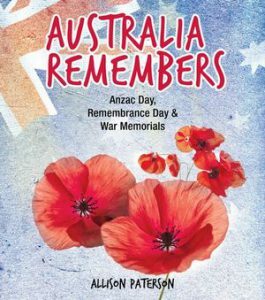 I’ve plucked out a few titles from ANZAC book shelf in case you want to share the Spirit of the ANZACS with your family. There’s something there for young readers from 5 to 15. It’s by no means comprehensive but certainly worth the read…lest we forget. So whether you spend your day at a commemorative march tomorrow or in quiet contemplation, make sure that when you are nibbling on an ANZAC biscuit, you have something good to read. Confession: The day I received Working Title Presses’ latest release, An ANZAC Tale, I was assailed with nostalgia and immense trepidation. How does one do justice to one of the most unjustifiable periods of human history? 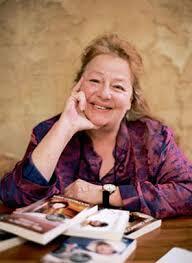 Ruth Stark and Greg Holfeld have done it and done it admirably well. The result is a meticulously researched and presented graphic picture book that possesses the unique duality of being both breathtakingly beautiful, and poignantly tragic. It is almost that time of year when we gather as a nation to commemorate and reflect on one of the most fiercely contested campaigns of WWI, the battle of Gallipoli. But how does one pass comment on the interpretation of the tenacity, stupidity, bravery and strength of spirit of humanity without sounding trite or conceited? I wasn’t sure I could manage it as masterfully as the Stark Holfeld team. So I didn’t try. Instead I revisited the tale, and with each turn of the page, was transported back to a time over two decades ago, when I gazed across the benign azure waters of Suvla Bay and ANZAC Cove, on the European side of Turkey’s Gelibolu Peninsular. Sunshine bronzed my already travel-tanned shoulders and the smell of the Aegean Sea filled my lungs. Nothing permeated the silence that engulfed us, not even the cry of sea birds. 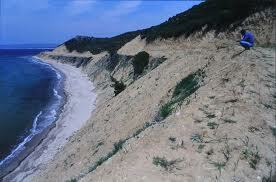 I stared at the impossibly steep cliffs looming up from the beach and shivered in spite of the heat. 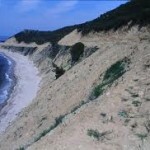 I remember standing in the trenches of The Nek and Second Ridge, shallow now, scalloped smooth by time. A pine scented breeze played about my neck. We stood unmoving, listening to it whisper through the pines; the sound of a thousand souls sighing around us. And tears seared my eyes, blurred my vision of the honey coloured earth as I struggled to imagine it stained vile by the colours of war and battled to comprehend the futility, the valour, the discomfort, and the stench of human corruption. We were led about by our Turkish guide with quiet reverence, not because he thought we were special, but because we were Aussies. We had already earned his respect and our right to be there. We felt that as absolutely as the heat pulsating up from the baked earth. I remember visiting Chunuk Bair, Lone Pine; standing in front of the walls of names, searching, too many to read through; I’ll be here all day, I thought. Compared to whom? I found a pine seed from that tree and slipped it into my pocket, (just as Ray did for his mate Wally). When the afternoon sun lost its sting, we slipped away quietly from the trenches and had Turkish Dondurma (ice-cream) to temper the memory of what we had seen and felt; acutely aware of enjoying a pleasure and a respite that would have been denied to the ANZACS. 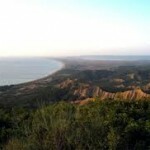 My brief sojourn to Gelibolu makes me no more of an expert on the event and the place than the next Aussie backpacker. 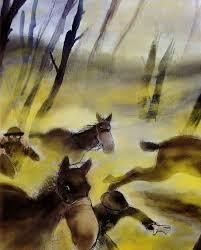 Yet it has created an indelible memory with which An ANZAC Tale resonates profoundly. 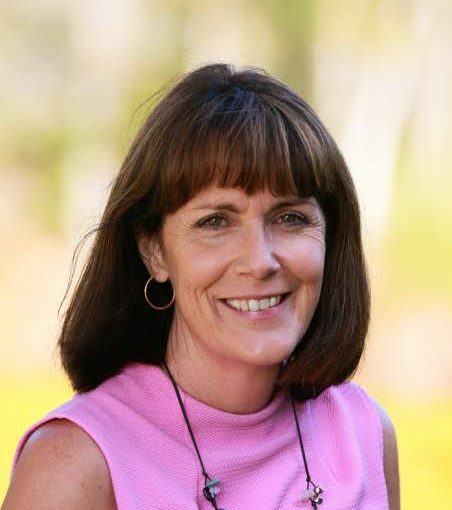 The enormity of the ANZAC’s story is handled with remarkable lightness of touch and told by Ruth Stark with a respectful, quintessential Aussie jocularity. It is never sentimental or laboured but simply follows best mates Ray Martin and Wally Cardwell as they experience the first landing at ANZAC Cove on the 25th April 1915. What followed became a battle of endurance and wits sadly resulting in thousands of deaths on both sides. The popular comic-style graphic format is dominated by the illustrations of Greg Holfeld that are brutally faithful to the moment without depicting gratuitous guts and gore. The last charge in particular rips with chaotic movement, terror and finality but not in a way that traumatises the reader. Wally, Roy and their new, fortune-seeking mate, Tom, head an anthropomorphic cast of Aussie characters. They are buck Roos, who rub shoulders with Kiwis (the birds) and various other national fauna. The Drill Major is a raucous bossy cockatoo. Egyptians are depicted as cats. Wily and resourceful magpies represent enterprising privates and Johnny Turk is portrayed as the ‘black eared’ caracal lynx, from the Turkish word karakulak. This cat is described as being fiercely territorial which accurately translates to the Turks’ indomitable fighting spirit. An ANZAC Tale not only chronicles a significant period of history difficult for young people to fathom in a way that they (young boys and reluctant readers in particular) will find enthralling and exciting but also takes us on a deeply moving journey (tears were never far away for me) through the vagaries of Australian society in the early twentieth Century and the complexities of warfare. All this is brilliantly supported with maps, notes and a timeline. ‘Why would any Australian want to come to Gallipoli?’ Ray asks Tom as they evacuate under the cover of darkness on the 18th of December 1915. You don’t need to turn the last page to find the answer to that poignant question, but you’ll be touched when you do. If you haven’t yet been or are unlikely to get the family to Gallipoli any time soon, An ANZAC Tale is an outstanding armchair substitute. Beautifully bound and twice the length of a normal picture book, it will appeal best to older aged primary children and those who’d rather reflect than analyse.